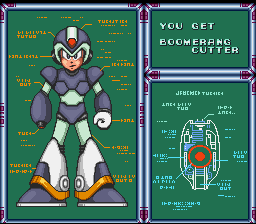 Boomerang Cutter fires a boomerang at enemies, which will travel in a circle in front of X. By standing still, the boomerang will travel upwards, while the opposite will occur if you jump. 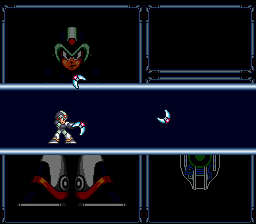 Three of these can be fired in rapid succession and the boomerangs can even be used to grab items out of reach. 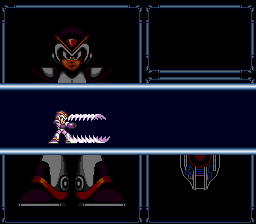 When charged, it fires four large boomerangs in cardinal directions that pinwheel outward to strike enemies. Chameleon Sting fires a plasma ball which then separates into three spikes that travel diagonally upwards, straight ahead, and diagonally downwards. Another one cannot be fired until the spikes disappear off-screen. When charged, X's body turns transparent and flashes through the color spectrum. 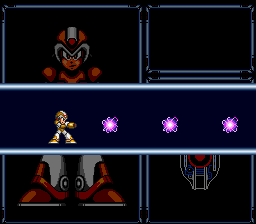 X becomes invincible for a short duration of time until the effect wears off. While in this colorful state, X will not be harmed if he touches spikes or scorching hot smelter pit metal. Electric Spark fires a purple spark that does a good amount of damage. If a projectile hits a wall, it will separate into two smaller but equal sparks that travel along the wall vertically in opposite directions. It can also be fired very quickly, and will come in very handy for the next boss battle. 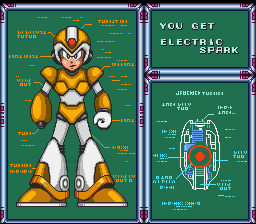 When charged, it fires two spark columns, one in front of X and the other from behind. 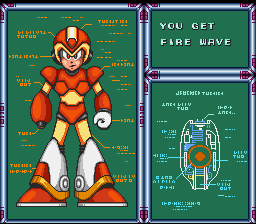 Fire Wave is your own personal flame thrower. This powerful short ranged weapon will come in handy when looking for Heart Tanks and other items. 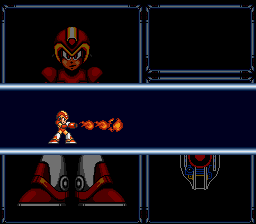 When charged, X will send a cascade of flames across the ground that rise up in spires to scorch enemies. Homing Torpedo fires a homing missile at enemies, which will search for an enemy and explode on contact. If it does not find a target, it will simply disappear off-screen. Two of these can be fired in rapid succession. When charged, four piranha-shaped torpedoes will fly out to seek enemies. 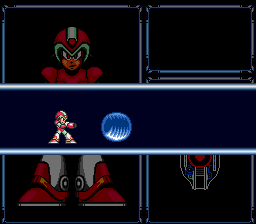 Rolling Shield fires a large round orb at enemies, and on contact with one, will explode. If it hits a wall, it will simply bounce off the wall. 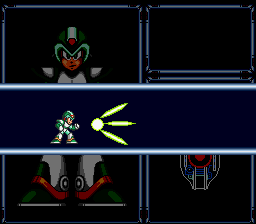 When charged, the shield will encase X and become a protective barrier. 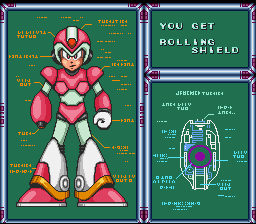 This barrier can destroy any enemy with under three hit points, but if it comes into contact with any enemy with more HP, the shield is compromised. Shotgun Ice fires a single blast of ice that shatters on impact, spraying five shards of ice that do the same amount of damage as the first projectile backwards. You can fire this against walls to spray projectiles towards your enemies from various directions. When charged, X shoots a small chunk of ice that assumes the form of a snowboard in the shape of Chill Penguin crouched on his belly to mimic his slide attack, with a flat top X can stand atop. The snowboard will lurch forward at high speed and take out minor enemies, though it will eventually crumble away. You can use it to ride across many areas, such as slopes, and build enough momentum to cross long gaps in the terrain. 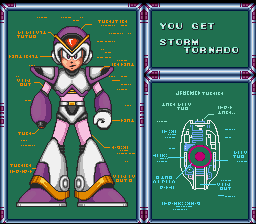 Storm Tornado fires a large gust of wind forward that can easily destroy multiple enemies. It can also go through walls. 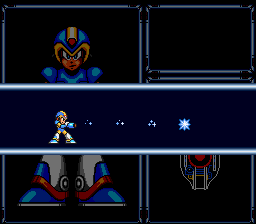 When charged, X will create a vertical whirlwind that spans the height of the game screen. 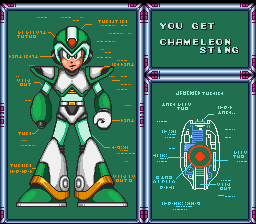 It can hit enemies from above and below before the wind tunnel dissipates. This page was last edited on 17 October 2016, at 21:11. This page has been accessed 82,946 times.